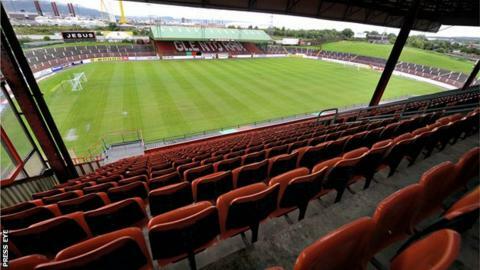 Glentoran's financial woes appear to be continuing as the club's players are understood to be still awaiting their wages for January. Squad members were due to receive their payments on Thursday but are believed to have been informed midweek that there was an issue over cash flow. Just a few weeks ago Glentoran chairman Terence Brannigan had indicated that the club had sorted out the problem. A cash advance from the club's main sponsors had helped on that occasion. The club have made no comment on this further period of financial uncertainty. On the last occasion in which their wages were delayed, the players refused to train, but there is no indication that they intend to repeat that course of action at the moment. The Oval club's present predicament will not have been helped by the postponement of their last two home Premiership games because of bad weather.